Naoki Funakoshi was born 1953 in Tokyo. He graduated in 1978 from Tokyo Zokei University. 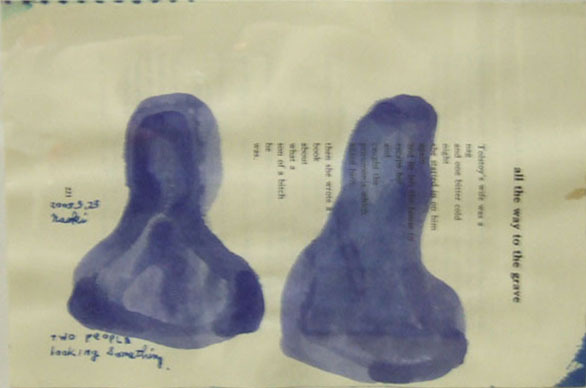 His first solo exhibition was held in 1980 at Gallery Miyuki in Ginza. Thereafter, Funakoshi exhibited at Nabis Gallery, Morioka 1st Gallery, Toki-no-Wasuremono, Gallery Terashita, Gallery Seiho and others. 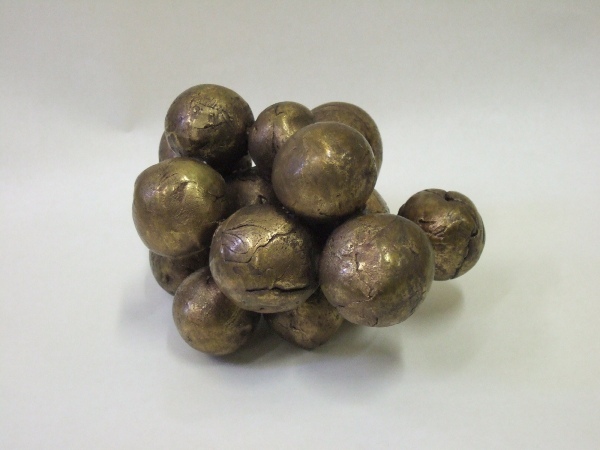 His works were included into the 1998 exhibition “Inside/Outside: 8 Contemporary Japanese Sculptors” at the Niigata Prefectural Museum of Modern Art, and in the Naoki Funakoshi & Yoko Abe” exhibition in 2000 at Yorozu Tetsugoro Museum in Hanamaki (Iwate). 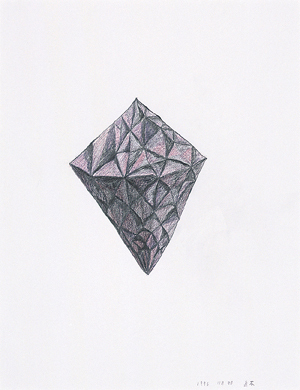 Much of the appeal of Funakoshi’s drawings of amorphous, mountain-like shapes and objects that evoke parts of the human body stems from his peculiar sense of color. 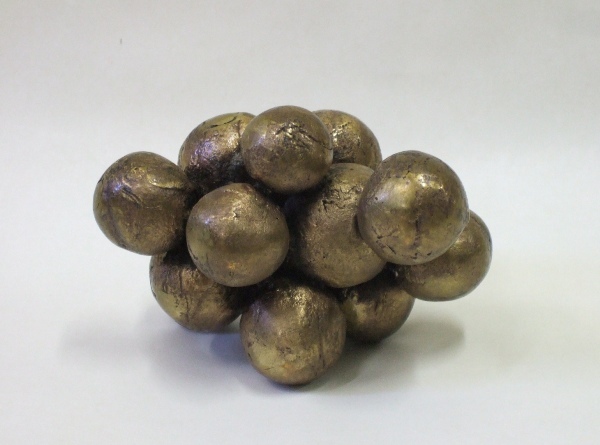 His works transmit a sense of simplicity and immediacy that perpetuates also his bronze objects. They may remind stages of the beginnings of life, clusters of grapes, etc., thus spanning a wide range of possible associations. He passed away in 2017. "TWO PEOPLE LOOKING AT SOMETHING"